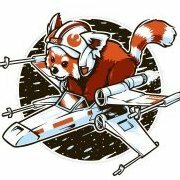 Ok, I have been trying to compile something over the last few days, please note this is not my specialty and I have been enlisting assistance from various sources - including FryingTiger who has made a career out of research military specs and history. On this document you can see 3 things on the front page (apart from the title and authors/artists) A- This is a receipt stamp, to those unacquainted with rubber stamps, a physical ink soaked stamp is embossed on original paper documents - This shows receipt of a document by the receiving dept - in this case, a British department using the correct vernacular when in Britain of "Armour" school, there are many of you out there that think that having both Armour and Armor on the same document is proof of fakery, no it isn't, it is sop (standard operating procedure) for documents shared amongst allies, and yes both the US and Great Britain are allies. You can see the initial destination the label - B (another old fashioned paper copy modus operandi) - The address clearly states - St Marys Cray, Orpington, Kent - Guess what? that's in the UK - a little known ally of the US. This publication, which interestingly enough, is the first issue of the year named a series of magazines that are still being published today for Defence experts, specifically, the US Army, anyone who has served may recognise it. This publication can be tracked back to 1888. It refers to the completion of upgrading in the M60 tank stabilization systems ready for delivery in August 1972. Our document, directly made by Chrysler, is the analysis of this update. The following images, and they are very detailed in terms of anything we have had before or elsewhere, demonstrate exactly that change and it's effects. Now let's move on to further support that the original document is in fact genuine - The following image is also gleaned from the manufacturers (Chrysler) and is part and parcel of the same extensive Aberdeen training grounds tests that took place. You will notice that the schematics bear pretty closely out the details set out in the document first referred to by our developers. Unfortunately, we cannot find an image of the front cover of this publication, but it is clear it refers to the correct turret system. The M60 original turret design submitted for updating by the US Army. Some further documentation we have available (below) points to the a1 and a3 models using exactly the same turret. Finally, if you doubt the validity of our documents, as an example of information we have available please see below. In summary, one major issue we have with convincing you, the viewing players, is the lack of "official" documentation "you" can find on the internet. Please note, these vehicles are still in use today and it is not unexpected to have difficulty in locating reliable information in open locations on the internet. Google can not find everything as much of it has probably not even been digitally reproduced. We (Gaijin) are not in the business of falsifying information, nor are the Russian community determined to destroy your tanks or aircraft (and boats when they come) at least no more than our community here. They too are WT players and, like yourselves, interested in improving the accuracy of our vehicles in game. We have made a rod for our own back by not having overall overall vehicle armour in play, and thus any errors or cyclical astonishment in changes made, create even more outraged opinion that sometimes is just plain wrong. A further consideration, and this is in reference to some of you guys contacting Chrysler; whilst it is a valid route to take, please remember that most of the guys you initially contact will be oblivious to Chrysler's history in armoured warfare and may not connect to what you are looking for. It should also be noted that much of Chrysler's historical documentation will not be likely archived in a format (digital) that can be instantly grabbed, eg in the bad old days we only had paper copies and that's a lot of digital archiving required. Chrysler's management also amalgamated with many other motor factors in the 90's (Merged with Daimler-Benz)and lost the majority of it's shareholdings and ownership to a more robust for the time leadership thus making much historical information difficult to obtain. I am not saying you won't get it but I am sure it would be more difficult as a result of the upheavals. I have spent far too long on this chaps, far far too long and sometimes, we have to trust the development team as they are not out to nerf the US and spend vast amounts of their own valuable time getting the best references available, I don't mind doing this now and again, but I really cannot afford to spend this much time on a single vehicle (nor can anyone else). If there are issues with the specs in terms of the detailed and authoritative information we already have at our disposal, please do point them out to us, because we want to get it right too. Now, Clay (FryingTiger), an old friend and colleague of mine will add some relevant details and observations from some in game tests he and I made to clarify the situation. He is qualified with researching and commenting on historical issues you guys have as he has spent his life (after being a Marine) dealing exactly with issues and investigations like these. 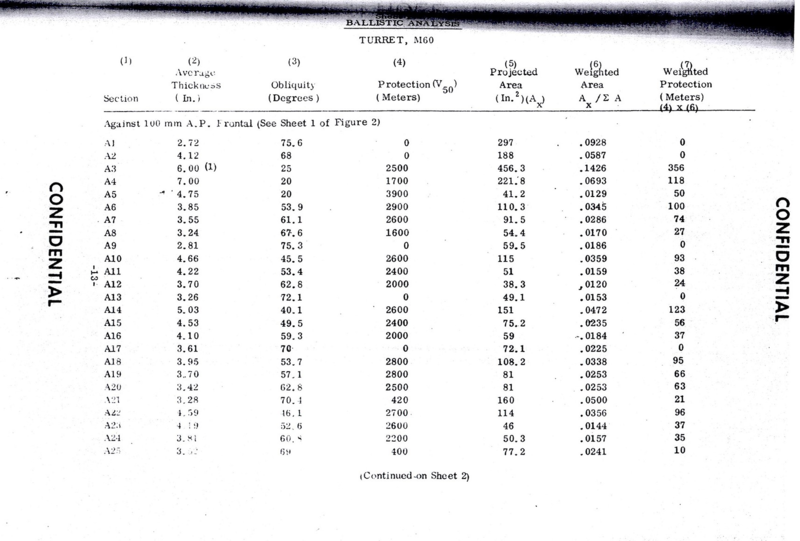 The origins of this document lie with with Product improvement program for M60 tanks. It is addressed to the M60 project manager's office (located in Warren, MI at that time) The markings on the cover are indicative that this was a copy of the original shipped to the UK and displays the chain of custody sticker (labeled in screenshot as B) as is customary for technical documentation on loan from the DOD (this is present even on modern documents) as well as the runner stamp showing it was received by the UK Armor school (displayed as B). There are 1000's of documents in this series both inside (material command/armor board) and external (different part-etc manufacturer reports to the board) which this document is. Documents like this were often sent to allies for training purposes, so different countries tankers could learn each others strengths and weaknesses, and so discovered info could be shared to influence tank design improvements in general. The In-game Armor viewer shows m60 frontal turret armor as 127mm (5 inch) wit ha 50.8 mm (2 inch thick curved surface) thick gunshield. 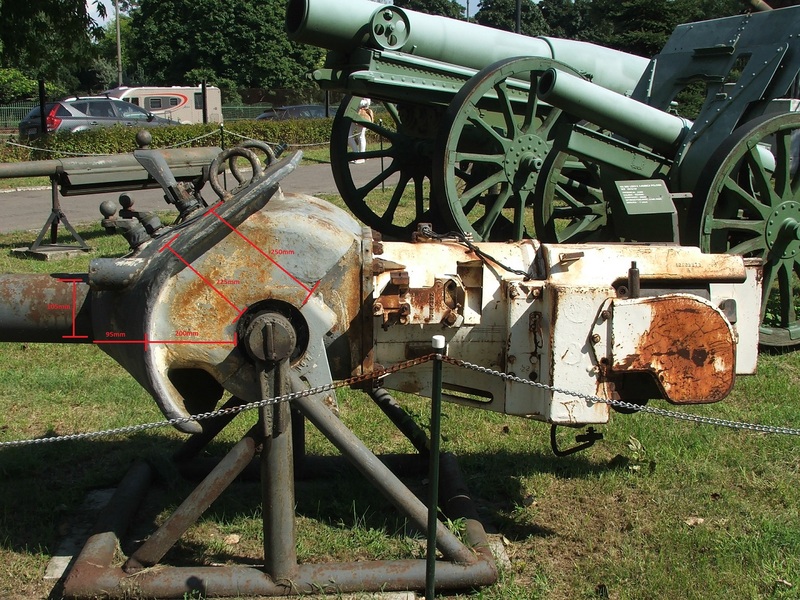 and and 152mm (6 inch) 178mm effective in thickest spot)thick area around the center breech mechanism. The Armor viewer breaks these figures down as 3 separate entities with their own effective armor listings (outer shield, breach area, and frontal turret). However what is not taking place in the armor viewer is how the armor overlaps over the top of areas and how that influences the armor effective rating or total thickness. Hunnicut is a great resource for cursory data. However it is often as with other non military publications not entirely (specifically) correct as to it's listings (same deal with Jentz, Spielberger, etc). 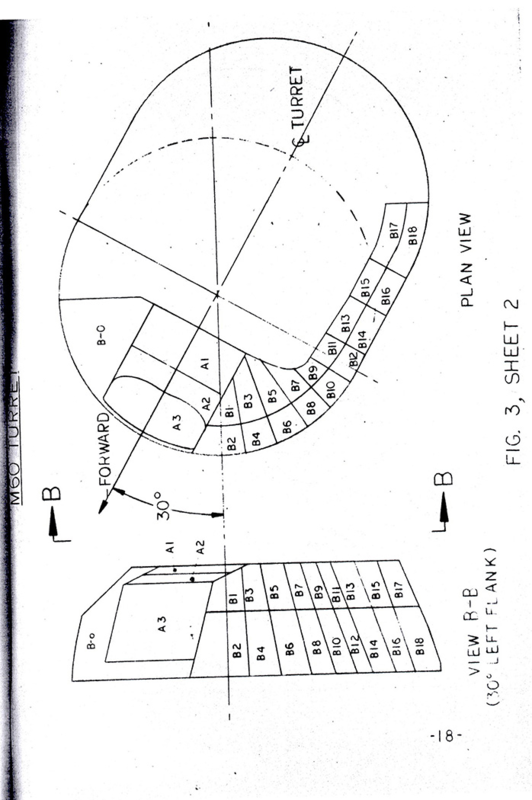 Hunnicut lists the overall 7 inch (178mm) thickness of the frontal armor (as displayed in the turret diagram from the improvement program) However this encompasses both the frontal armor and the gunshield combined. Hunnicut like other authors very often state figures in rounded numbers (6.8 becomes 7 for instance). So the viewer at the breech zone correctly gives approx 178 total combined effective protection, but the outer portion of the shiled that overlaps the turet armor does not add these two together (it only displays the 50.8mm) however turret armor +shield still equal 178mm effective armor. For M60A1 this "effective" armor rating totals approx 254mm (correct figure but same viewing issues as M60) It is also the same for every vehicle in game presently. In all the documentation from the Military and manufacture. more precise figures are used for each piece totally approx 6.8 inches thick at its thickest parts (as it displays variances of thickness at 90 degrees to the armor. How this displays for you in game is different. The gun shield doesn't factor in its thickness vs the breech (6 inch breech is displayed but ignores the 2 inch shield (4.5 inches thick at 90 degrees to it) that is over top of that. Similarly the outer edges of the shield (the portion overtops the frontal armor where the breech is not present) is displayed without the frontal armor as a factor behind it. Similarly you may view the frontal armor and although it displays the area behind the gunshield it doesn't add the two together. This can lead to misinterpretation of the total armor value. However in any spot where you add the two together it equals about the same, approx 178mm of protection. Whether it is the 152mm breech + 2 inches for the shield over the breech(50.8mm) (thickness part of the front) or the gunshield 50.8mm + the 127mm of the frontal turret armor. This is consistent with in-game penetration examples. We took out the m60 against a reserve tank M2 with a 37mm gun (max pen 60mm) Should not be able to pen the front of the turret). Firing at the breech area though can result in a penetration of the gunshield only and the round then striking the breech can damage it. Whilst firing at the outer portion of the shield, the shield is penetrated and stopped by the 127 mm of armor behind it. Test results show that the ingame damage model is therefore accounting for the totality of the armor as it should. As you can see in this shot taken from the m2 the outer gunshield displays identically to the armor viewers layout. However the damage model factors in all surfaces. So the round was able to penetrate the 50.8mm shield however it was stopped by the 127mm turret armor upon penetration as it should be. For comparison we took out thee Achilles tank destroyer with the 17lber and 160mm of pen. The identical result was returned. The breech may be struck via penetration of the gunshield, yet is stopped by the breech which can take some damage. The same effect occurs on the outer shield area, whereas penetration of the gunshield occurs yet the round is stopped by the turret front, resulting in no damage to the vehicle. In summary, /tldr The documentation provided is correct as sourced. However due to technical limitation of the armor viewer we cannot properly display this. The damage model is working though as intended dispite this view discrepancy allowing for the correct level of ballistic protection. Bugs, errors, are as always possible. So utilizing the data for the m60a1 or m60 on dev (reflecting the refined more exact figures) the same effect occurs with that armor viewer etc. However the model still adds up mathematically to what is cited in the source documents. This picture is of a m60A3 that I maintain about a 5 min walk from my house. This was her in 2014 after a paint job to the interior. I don't entirely see the point of this thread, many of us (Including me, who created the Original M60 (A1) Turret Armour thread) were not stating that the Auyer & Buda documentation is incorrect, or indeed falsified, what would be rather absurd, what we were trying to convey, is that there is another source, which is the Detroit Tank Arsenal blueprint on the M60's turret, which to me seems like a highly detailed and trustworthy source (Technical moderators have agreed, since tank factory blueprints are now considered valid enough evidence to no longer warrant another source), which directly contradicts the values stated by Auyer & Buda. Furthermore, it also seems to indicate that the 177.8mm thickness is not a result of the gunshield and turret front being added up to reach a rather general number. The second diagram also shows how the front of this turret decreases in thickness the further the sloping goes towards the top of the turret front, likely reaching thicknesses of 139mm, with the previously mentioned 177.8mm below. I'm curious to hear your opinions regarding this document. Well, first of all - a big Thank You for that work. It is really tremendous, and means a lot for me, and I'm sure for many other players. I just want to clarify (and I was stating it before) that none of the people that was involved in this case never said the Document was fabricated by Gaijin. Nor the Gaijin knew about it. Also we are not in any form of rivalary with Russian Community, as we know they are having the same issues, and they are not blindly attacking US/UK tanks in favor of Russian ones. It all started with lack of information over the internet, and then "word" spread over the Forum. This explanation You did today might be a little bit earlier, but I'm not complaining. It was me that contacted Chrysler. They answered they don't know anything about it, but also I stated (with bold font ) this proves nothing, as the document might me secret, therefore I would get the answer exactly like I did, not the "Yes, we got it, but it's secret, sorry". This case was so largely discussed because there is a lot of Bug Reports we made, and there is no words about it. Players feel a bit ignored, especially after long wait (year), when they can't hear a word about Report they made - is it good, or not, is it considered, or not, document's missing, waiting for something? I know there is a few thousands of them, but that only shows how interactive Your player base is. And finally - I got involve in this case more because I care about the community, that I care about the tank. I'm M103 guy, and nothing will change it. Just cases like this can cause a lost of a players, and a player base is already small. We would love to see 100K, 200K people online, and more. As I said yesterday - we are on the same side. Big respect for this though, I really appreciate it. Thank You. Location:You'll never see me coming ! So every vehicles in the game have correct armor however USA get "effective thickness" armor according to the angle I'm correct ? It's not even how armor is calculated in War Thunder. Effective armor doesn't mean much in War Thunder because penetration isn't calculated according to effective armor. Why would they create a 178mm "effective armor" when they wanted to protect from the D-10T with more than 200mm of penetration ? Guys, of course not everyone was claiming it was false, but conversely there were many that were - before proceeding with anything else, the negative influence must be removed. Does this mean that the gun shield + the breach on the m60a1 really has those weak spots on the sides as we see them in game? There is no problem with the documents you have. The reading of it though as a blueprint shows (first picture) A side cut through the shield and turret. giving values along the side corresponsing to total thickness at each point. Behind the shield of this tank is only the breach for example. So tlooking at the middle figures given 7 inches along the suface is in line with not only the other doc, but reflects the variances as noted in the second. Anyways, could you perhaps take a look at the document I provided, and give any opinions on it? No, in game it displays 50.8 inches, but the armor view, damage cam, etc doesnt give you total of 50.8 + 127mm (the turret front behind it) and likewise effective armor rating of 178mm total for both. Therefore granting the perception that the only armor factored is indeed the shield. Which is why we tested it directly to show this. No, in game it displays 50.8 inches, but the armor view, damage cam, etc doesnt give you total of 50.8 + 127mm (the turret front behind it) and likewise effective armor rating of 178mm total for both. Therefore granting the perception that the only armor factored is indeed the shield. problem is that no one document effective armor in that way. There is no problem with the documents you have. The reading of it though as a blueprint shows (first picture) A side cut through the shield and turret. giving values along the side corresponsing to total thickness at each point. Behind the shield of this tank is only the breach for example. So tlooking at the middle figures giver for approx 5.5 to 7 inches is in line with not only the other doc, but reflects the variances as noted in the second. 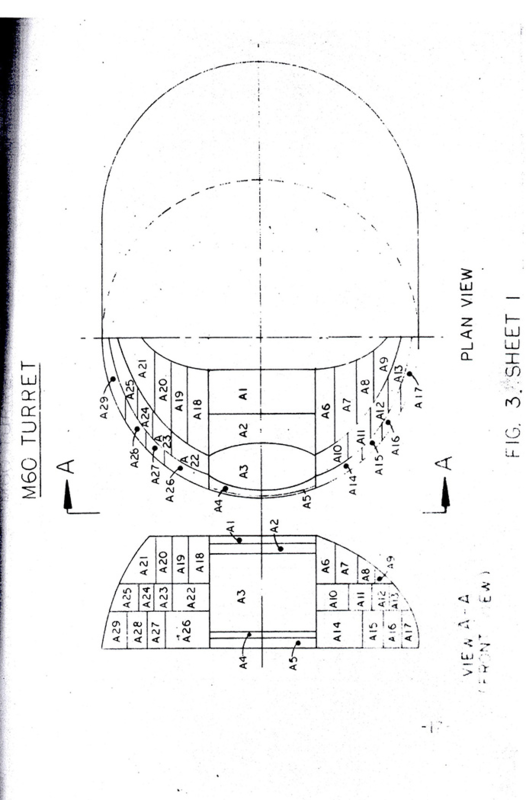 The following is the cut-away section '' R1 ", this indicates that the thickness of the cast steel turret to be 139mm in thickness, this specific area of the turret is not at all covered by the gunshield. 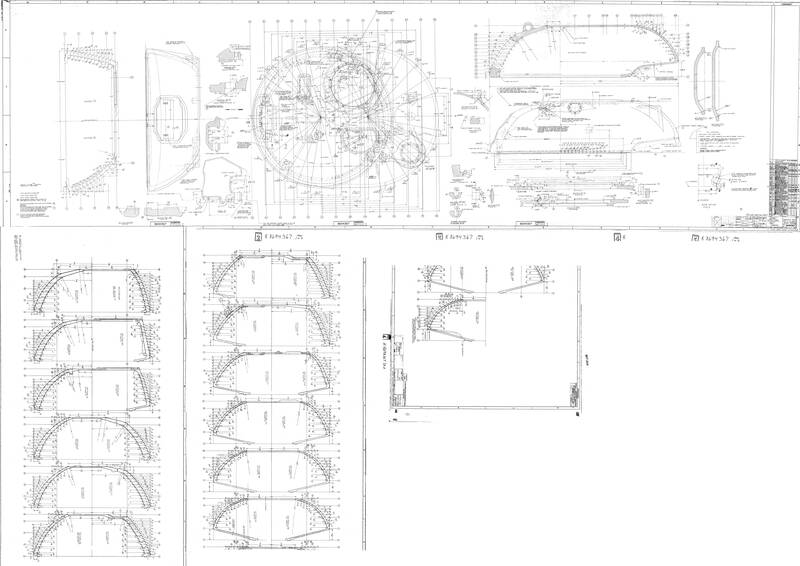 The following picture has been made by placing the in-game M60 turret onto the Detroit Tank Arsenal blueprint, here you can quite clearly see that the area which is 139mm according to the datasheet is ''only'' 127mm in-game, yes, the values of the thickness decrease the further up, however, I still believe that the turret is missing considerable armour, most notably towards the bottom. I have to disagree with this one. If player is happy, than he or she is and that's fine. If a players is totally unhappy he or she will leave the game without a word. Those unhappy who still want's to play the game, but have a problem that they can't solve by themselves - these are the "toxic content" creators. They are not here for fun (well, maybe just a few), they are here to ask for help, but because of frustration and powerless (which causes aggression) they are behaving badly. But these are the players that are unhappy but still here - but they will leave the game shortly. Answering them might make them stay here, and that's what we want, and what Developer wants. You can see the 178mm armor at 0° without the Gunshield ! Correct. the way data is recorded in real documents vs the way it is in physical form is often different. This is again my the devs sought to "refine" the armor. 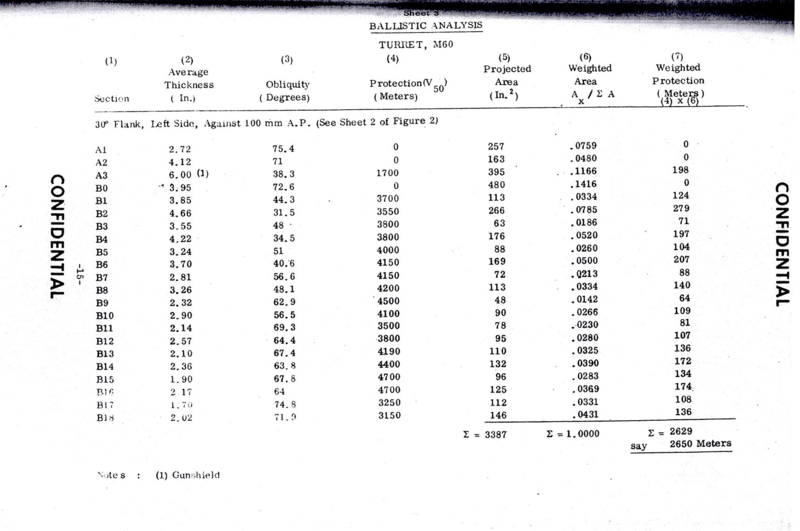 As wit the m103s turret, getting the exact measurement along the axis, then translating the ballistic effectiveness of the armor can be quite tricky. It very well may be much thinker in certain spots. However if have a model with let's say 20 reference points for thinkness, an argument that we need 50 could be mounted to make it more accurate. noone is saying that we have it 100% perfect, We merely wish you that do good reporting to understand the mechanics of how the game displays the information. So as to eliminate false positive reports as much as possible. So you will not ever hear one of say please don't report or give whatever documentation you have. It is in our benefit and the players to have discussion and as much details as can be done within limits of the game mechanics. The 178mm effectiveness doesnt account for angle of impact, or any other factors. Because a plate for example could be 100mm thick at a 65 degree angle. but the shot could be (whatever degree) impacting and causing all kinds of different results based upon distance, angle of impact, shell type, etc. This is why angles armor is more effective than non. Interests:Stuff and things, and other cool stuff. Yeh, was gonna say, I said the document was obviously real in the other thread, otherwise there wouldn't be pictures of it. I have my doubts regarding their measuring technique as it isn't really described. Which is why I decided to measure actual tanks with an ultrasonic thickness gauge. Living in Michigan now, there are a lot of M60's and M60A1/A3 rebuilds within reasonable driving distance outside of many VFW halls. As of now, it's just a matter of going and doing it. Which should be some time this coming week. My opinion is, actually measuring the real thing, is going to be the only true way to get the real thickness's of the armor. Due to there being so much variance between different documents. The only document I truly trust on the M48A1/M60 turret armor is the Chrysler casting diagram that's been posted by myself and others. And that gives turret face thickness's going by the diagram from 178mm at the bottom, from 170's to about 150 at the sides of the gun mount behind the shield, about 178mm at the top where the lip is, 139-120's outside of that, and graduating down from there around the turret.. Won't know for sure though till I get the gauge on the M60 thats about 20miles away. As far as the M60A1 goes, the only real major issue is the gun shield, and then the turret ring. Turret ring could be a problem as castings 1974 and later reinforce that area, according to my research. As far as the gun shield is concerned, when you look at one dismounted from the tank, it doesn't take a genius to tell that the shield casting isn't hollow, and it's obviously more than 127mm thick. 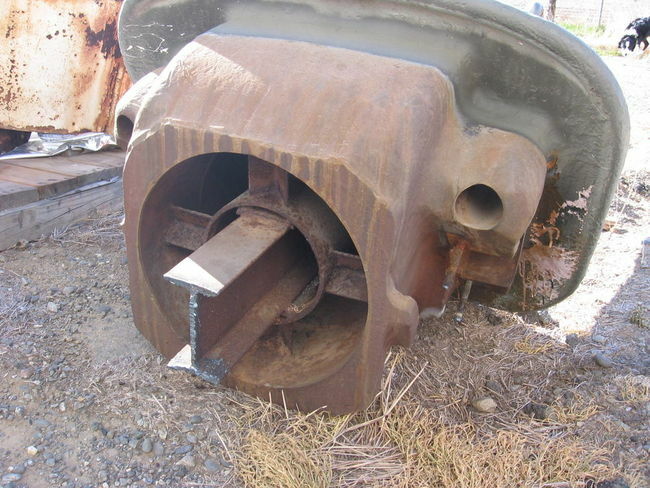 The Gun breech thing starting behind where the trunnion supports attach. Disregard the measurements, as those are just estimates based on the known diameter of the gun barrel. As far as getting an ultrasonic reading from the gun shield I'm going to say that I'll likely only be able to get a reading on the upper section to either side of the gun barrel, which would measure from the surface to the Trunnion connection. You think I don't know that ? Really ? I just don't understand you said M60A1 mantlet is 254mm effective thickness hence why there is 127 at 60° = 254 which is completely wrong. M60A1 mantlet is 254mm thick without taking the angle in count. The area with the labled measurement of 200mm is certainly not that thck as you probably know. Its actually (I have pulled that whole assembly a out by a small crane before) much thinner (from the view your looking at) basically it wraps around the outer portion of the breech to form the mantlet it is not solid all the way through is my point (well except for small amount of space it occupies when viewing from the front. The total thickness is about 6 inches (2 inches on the face of the shield) with 4 inches of breech and plate behind it. Is there any chance Gaijin will revisit the M60 armour model, and rework the armour values on the turret model based on the Detroit Tank Arsenal blueprint? Section R1 as provided above, is 168mm in effective thickness in-game, this is the result of 127mm of armour sloped at 41° from both the vertical and horizontal slopes combined, if the Detroit blueprint values are assigned, the same area with 139mm of armour would be 184mm. Section R3 is 184mm in effective thickness in-game, as it is 100mm angled at 57°, with the Detroit values this would be 114.3mm at the same angle, resulting in 209mm. The differences are be significant enough, especially since the M60 turret model in the upcoming Patch 1.63 has had it's armour further decreased along the higher areas. On a side note, I understand your reasoning behind the 127mm thicknesses given for the M60A1's mantlet being correct, as it's effective LOS thickness would reach 254mm (Although this is not correct, as the 254mm area is only reached by a very minimum area of the mantlet), that still would not explain why the cast steel behind the mantlet has not been represented in actual armour, instead it's simply been made part of the gunshield itself. The in-game mantlet should've looked like the first picture, there is simply no way the second picture depicts 254mm in LOS thickness. What I said was the A1 was effective to 254mm in the same way as the m60 reaches 178mm. As far as how its viewed in the armor viewer. @Scarper What are Your thoughts about @Conraire idea to measure the real tank? Can we ask someone from Gaijin to give the man some instructions/requirements/requests, what do You need, how he should document his measurements? Will that be a good source of information for You? Oh wait it's actually overperforming > 500mm that's not historical it should be 254mm go nerf it right away. Keep it Civilized without the nonsense... last chance... "fixed note" Do Not: 1.1.2. Start or participate in flame wars, intentionally derail a topic, or post useless spam messages in moderated areas. Is there any chance Gaijin will revisit the M60 armour model, and rework the armour values on the turret model based on the Detroit Tank Arsenal bluepring? On a side note, I understand your reasoning behind the 127mm thicknesses given for the M60A1's mantlet being correct, as it's effective LOS thickness would reach 254mm (Although this is not correct, as the 254mm area is only reached by a very minimum area of the mantlet), that still would not explain why the casts teel behind the mantlet has not been represented in actualy armour, instead it's simply been made part of the gunshield itself. Absolutely! When the modelers feel that they have received info, testing, etc that necessitates an alteration they positively take that into accord for updates. That goes for anything in the game. I would say give it until they finish what they are doing (bug reports generated via dev resolved and patch comes) then review the final model accordingly.